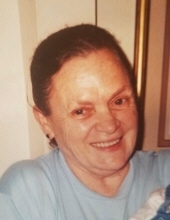 Lucy Elizabeth Morgan of Aberdeen died Friday, March 15 at her daughter’s home in Pylesville. She was 84. Born in Baltimore, MD she was the daughter of the late Andrew and Constanza (DiFazio) Cefalonie. A homemaker, Mrs. Morgan enjoyed spending time with her family. She is survived by her sons, Cecil O. Cullum of Mountain Grove, MO, James Cullum of Brentwood, TN, Joe Cullum of Havre de Grace, George Cullum of Alton, VA and William Cullum of Bell Buckle, TN; daughters, Bonnie Mae Pryor of Frederick, MD, Charlotte Cullum of Freeholt, NJ, Linda “Susie” Vest of Pylesville and Debbie Delvis of Michigan; sisters, Teresa Stein and Anette Epperson and over 30 grandchildren, five great grandchildren and five great great grandchildren. In addition to her parents she was predeceased by her son John A. Cullum. A visitation will be held on Friday, March 22 from 10am-12pm at the Tarring-Cargo Funeral Home where a service will begin at 12:00. Interment will be in Highview Memorial Gardens. To send flowers or a remembrance gift to the family of Lucy Elizabeth Morgan, please visit our Tribute Store. "Email Address" would like to share the life celebration of Lucy Elizabeth Morgan. Click on the "link" to go to share a favorite memory or leave a condolence message for the family.